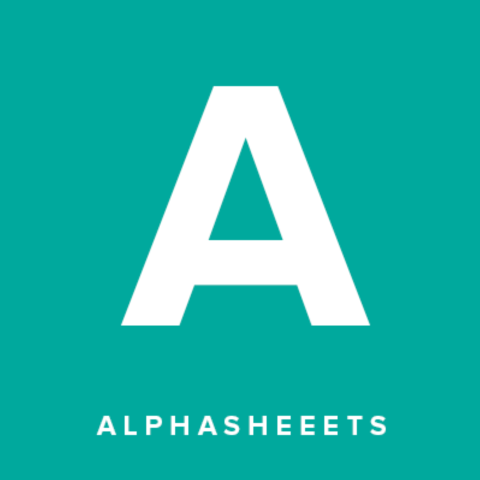 AlphaSheets is a better spreadsheet for finance. Everyone on Wall Street uses Excel, but Excel isn’t built for Wall St. The London Whale incident, a $6.8b loss, was caused by someone incorrectly copying and pasting Excel cells. Excel forces its users to use the clunky VBA language and messy macros, to import data by copying and pasting cells or through poorly-integrated addons, and to point-and-click to create charts and cell formatting. It is also extremely slow on large spreadsheets. Users must additionally email spreadsheets and macros back and forth to collaborate.Excel’s deficiencies are a wide source of frustration in the financial industry. Many financial institutions, including Citadel Securities, Barclays, and Credit Suisse, have spent untold millions of dollars on creating hacked-together addons to augment the capabilities of Excel, but all fall short of solving all of the many problems with Excel.A spreadsheet built for finance would be targeted towards power users – it would allow its users to import live data easily, collaborate on a web-based platform, use any programming language to define their expressions in cells, import external libraries, and programmatically generate charts and cell formatting. This spreadsheet software didn’t exist until AlphaSheets.